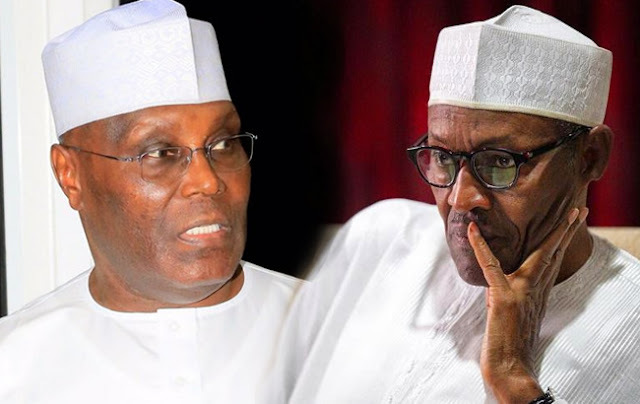 The Peoples Democratic Party presidential candidate in the February 14 , 2019 election , Atiku Abubakar, has said his emergence has brought confusion to the camp of his All Progressives Congress counterpart, President Muhammadu Buhari . But the APC described the former Vice- President as “a desperate , corrupt and an unreliable politician ” who it alleged had entrenched the anti - democratic practice of offering cash in exchange for votes. However, a statement by Atiku’s media office in Abuja on Monday , said that the Buhari camp must have known that the era of favouritism had come to end in the country. The statement said, “We are not surprised that there is confusion in the President ’s camp. We expected that they would be thrown into a catatonic state knowing that Atiku Abubabakr ’s emergence automatically means the coming to an end of their ignominious reign . “That much was admitted by the President’ s former running mate , Pastor Tunde Bakare , when he praised the emergence of Atiku as an ‘eagle ’ and ‘a cosmopolitan wazobia ’ politician . Atiku, in the statement, said that the wife of the President had even condemned the primaries of the ruling party , wondering if anyone could have known the APC more than her . The statement said, “We ask , how can the Buhari Campaign Organisation disparage the PDP primary that produced Atiku, when even the President ’s own wife , Aisha Buhari , has condemned the APC’s primary? In the statement, Atiku said there were other 11 aspirants that contested against him, adding that all of them had accepted his victory . Buhari , who he said was the sole candidate of his party, was already being challenged by other five aggrieved interested aspirants. He said, “11 aspirants contested against Atiku , during the presidential primary of the PDP . Every single one of them accepted his victory. Atiku, who debunked the allegation of corruption against him, said as the most investigated politician in Nigeria , the President would have arrested him because of his (Buhari ’s) vindictive nature . He stated , “ Nigerians know that Atiku Abubakar is the most investigated politician in Nigeria and any smear by the Buhari administration remains just that . “With the vindictiveness of President Buhari , he would have arrested Atiku if he had been found wanting. “However , to set the record straight, we want to remind Nigerians that the PDP ’ s primaries were genuine , free and fair . Atiku Abubakar got 1 ,532 votes in a contest televised live to millions of Nigerians . The APC’s primary, on the other hand, was a study in dictatorship and corruption . The sole candidate , Muhammadu Buhari , scored almost 15 million votes. How could that occur without rigging or manufacturing of faceless voters ? “No wonder Transparency International rated Nigeria as more corrupt today under Buhari , than just three years ago when the PDP was in power . The former Vice - President said that in 2019 , Nigerians would choose between what he called a lifeless candidate and a job provider . He said, “The choice before Nigerians in 2019 is a simple one . Nigerians have a choice of electing a lively candidate with a record of providing 50 ,000 jobs to Nigerians in his private capacity versus the lifelessness (apologies to President Donald Trump ) of a candidate under whom Nigeria lost 11 million jobs and became the world headquarters for extreme poverty. “It is very obvious that faced with such a choice , Nigerians would definitely vote for the man who will Get Nigeria Working Again, hence we are not surprised by this desperate statement from the Buhari administration that is so shameless that they made a man implicated in framing a man of God on spurious charges as their spokesman .